Philips Lifeline provides 24/7 fast access to help when you need it most. 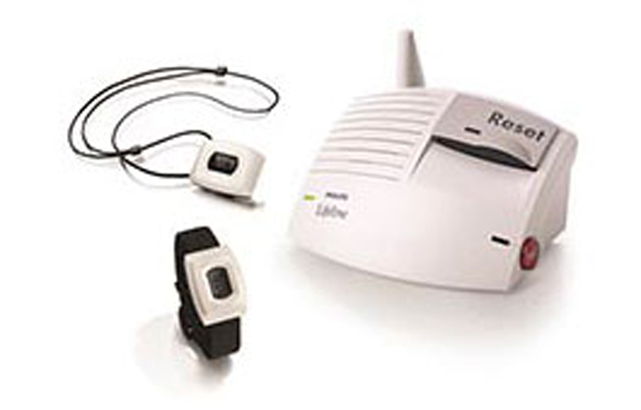 Philips Lifeline was the first to provide a medical alert service in North America (1974) and has remained the #1 provider with the largest subscriber base to this day. 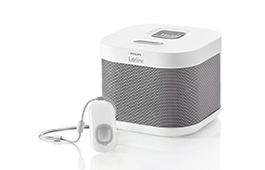 With Philips Lifeline you create your own response plan. Every situation is different and doesn't always require the fire department and ambulances showing up on your doorstep. We will work with you to create a response protocol that will meet your needs. We will dispatch a neighbor, family member or emergency services based on each unique situation. If you have any questions about Philips Lifeline simply fill out the form below and one of our specialists will respond within 1-2 business days. Please provide any additional relevant information so we can better assist you. HomeSafe - Our HomeSafe Standard medical alert system delivers peace of mind at home, at an exceptional value. HomeSafe with AutoAlert1 - An excellent choice for those with a history, risk or fear of falling with the added protection of automatic fall detection. GoSafe 2 with AutoAlert1,2 - Designed to find you wherever and whenever you need help and connect you with a Trained Response Associate. For homes with sufficient cellular service. GoSafe with AutoAlert1,3 - All of the advantages of the GoSafe 2 mobile system, with an added layer of connectivity in your home through the home communicator, as well as the ability to add multiple users to your service. ©2017. All rights reserved. Button signal range may vary due to environmental factors. For new customers only. Not to be combined with any other offer and subject to change without notice. Monthly fees and applicable taxes apply. Other fees may apply. Minimum stay on service may be required. Offer excludes GoSafe 2. 2. Coverage outside the home provided where AT&T wireless network coverage is available. Recharging of the GoSafe pendant is done by the user as needed, when connected to the charger. 3. Coverage inside and outside the home is provided where AT&T wireless network coverage is available. Recharging of the GoSafe 2 pendant is done by the subscriber as needed, when connected to the charger. *A customer phone number is required to enroll in the service. Assumes the location of the communicator is in an area with sufficient access to coverage by the AT&T wireless network.